The new regime in the country is committed to the cause of bringing a change in the lives of the people. We are living in the times of technology. It is essential to stay connected through the fast means of communication and transportation. The businesses of all kinds are no more confined to a particular geographical boundary. The business owners have to build an international reputation also. Once they access the global market, they need to supply their products in time. In Pakistan, the problem with the small business owners is the lack of resources that limit their access to the international market. They are not able to send their consignments in time. The swiftest means in this regard are the private courier systems that charge much more than the owned Pakistan Postal service. The latter was not able to win the confidence due to its slow processing. 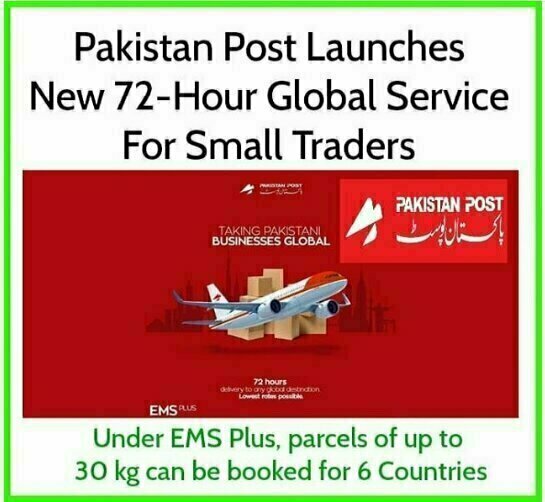 To rebuild the confidence and add to the revenues of the government-run postal service the federal minister of communication Mr. Murad Saeed took a revolutionary step. The small business owners are now able to send their products to the markets of six major countries. This won’t take more than three days or to be more precise 72hours. This new and better system will run under the title EMS Plus. The project will initially operate from the three major industrial cities of Punjab being Faisalabad, Lahore, and Sialkot. The markets of Australia, UK, Thailand, Japan, UAE, and Saudi Arabia can be reached out. Once the client books their consignments, they will be dispatched on the same day. According to the federal minister, the business owners are likely to save 175% of their precious revenues. It is also planned that soon this network will be extended to other parts of the world too.